At Patio Products, Inc. we have been supplying Manufactures, Refinishers, Hotels, Condominiums and Water parks with cut to size straps since 1986. Vinyl strapping applications include patio furniture, patio chairs and outdoor furniture. Our vinyl, extruded for outdoor use, is commercial quality 100% virgin vinyl strap with ultra violet inhibitors manufactured into the product. 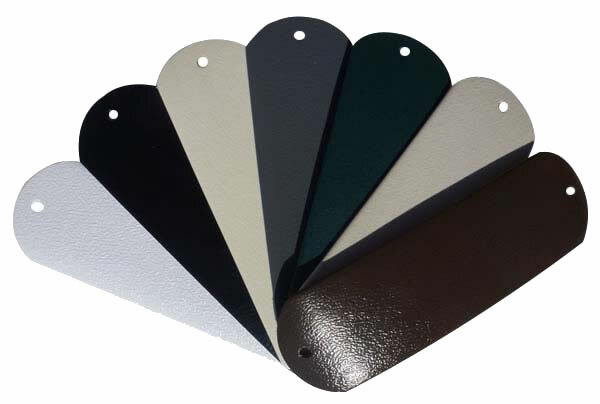 2" Textured Precut Vinyl Strap comes in custom lengths from 15" to 65" with or without attachments in 7 colors. Precut Vinyl Strap is available in 1.5" and 2" widths only. Many attachments are available. The Grommets, E-clips, S-clips and C-clips may need to be installed on the strap by us.